Silent Spring Revisited - ubiq bookshop: the best place to buy books! American scientist and author Rachel Carson is said to have sparked the modern day environmental movement with the publication of Silent Spring in 1962. She made vivid the prospect of life without birdsong. But has her warning been heeded? Fifty years on, Conor Mark Jameson reflects on the growth of environmentalism since Silent Spring was published. His revealing and engaging tale plots milestone events in conservation, popular culture and political history in the British Isles and beyond, tracing a path through the half century since 'zero hour', 1962. 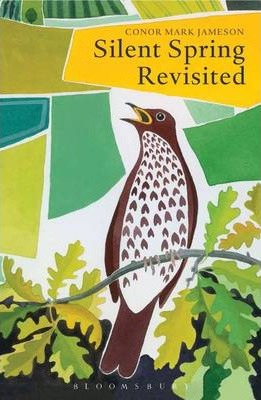 Around this he weaves his own observations and touching personal experiences, seeking to answer the question: what happened to the birds, and birdsong, and why does it matter?